Not all scales are created equal. 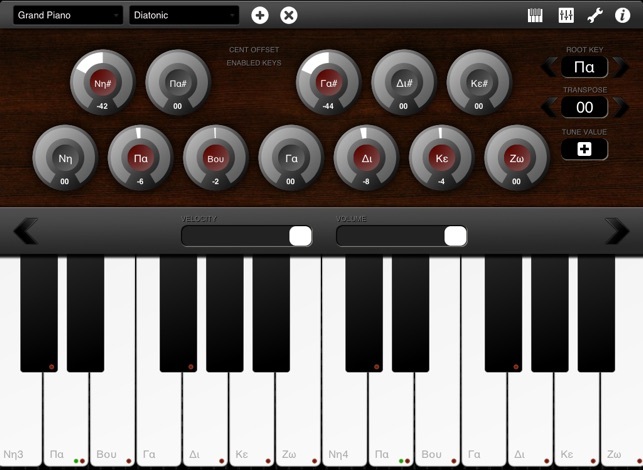 This app allows you to break out of the limitations of equal-tempered scales and gives you freedom to tune the built-in keyboard in whatever way you want. Loaded with many presets and samples you can explore ancient scales, byzantine music, oriental vibes or configure your own scales. Have you ever wondered why we tune our instruments the way we do? They are usually tuned to an "equal-tempered scale", which divides the octave into equally spaced tones and semitones. This has become the most prevalent way of tuning the instruments in the west since the 18th Century. Today, musicians use this tuning system, and the scales based on it, without ever considering other ways. For example, in the Middle Ages European musicians generally used Pythagorean tuning, and today many traditional instruments in the Middle East and Asia are tuned according to regional systems and standards. ● Ability to tune each key in the octave individually (+- 100 cents). ● 35 High quality sampled instruments: From grand piano, violin and organ to oriental oud and kanun, to voices of a choir singing Ison voices. Many samples are polyphonic and have multiple velocity layers. ● MIDI In. Connect your External MIDI keyboard and play microtonal music. Tuning the individual keys is normally only possible on $1000+ keyboard! 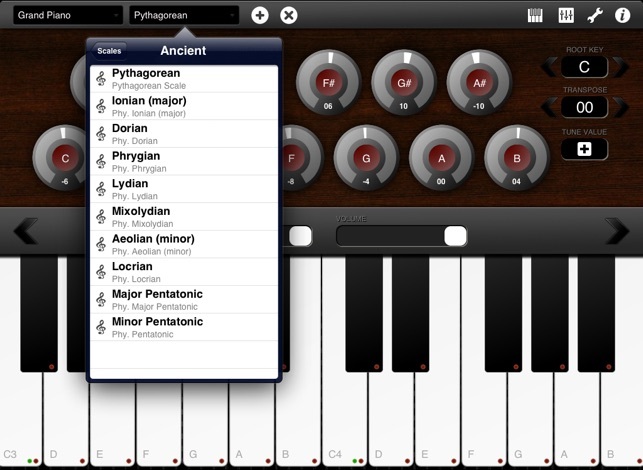 ● Many presets introducing lesser known western, byzantine and oriental scales. 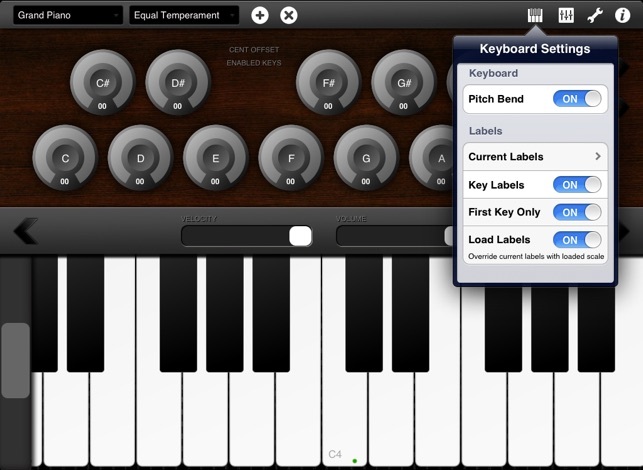 ● Ability to save your own scales and tunings. ● Entering directly frequency ratios, frequencies or cents. 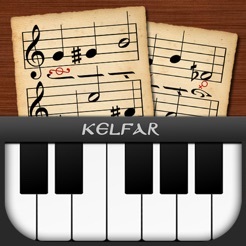 ● Shows on the piano keys where the scale starts and what keys are included in the scale. ● Changing the root key of a scale: all tuned keys are shifted correctly. ● Audio effects: reverb and compressor. This app is very good and i haven't seen anyother app like it. However I'm having problems lately , playing some keys makes the key turn color but it doesn't sound any sound. I love this so much thank you! I can't even believe this app exists, it's just so amazing! It will clearly take me to a whole new level in music appreciation and understanding, and composition inspiration. Knowing ancient scales is not enough. The actual tuning used by that culture is crucial to hearing the sound, for example with the Byzantine tunings. And while certain other western and also Hindustani tunings that I want are not included in the presets, at least I can manually create and save them...just as good! And besides keyboard, I know I will have fun on my cello by training my ear to these tunings, as a fretless instrument can play in any tuning. So many new possibilities! Overall I am so happy I discovered this app.